Can you believe that we are already in the second week of October? This month is quickly leading the way to Christmas. But before we get to Christmas, lets first think of Halloween! 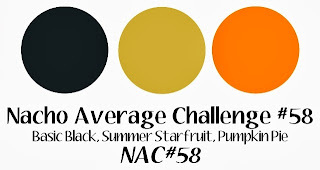 The lovely ladies over @ Nacho Average Challenge, have a color challenge for you to try this week. Once, I saw the colors, I instantly thought of Halloween. Ugh, and I don't own any Halloween themed rubber stamps. So, I tried to go a different direction with the color challenge. When I was crafting for this color challenge, I also realized that I don't own any dsp with these colors in it. So, to say the least, this challenge was a bit frustrating. But color challenges, are the hardest for me. I randomly inked the Ex Libris background stamp in basic black classic ink. I inked two wheels I have, one in summer starfruit classic ink and the text in pumpkin pie classic ink. I made them into banners. I cut a paper doily in half and added it to the left side of the card. 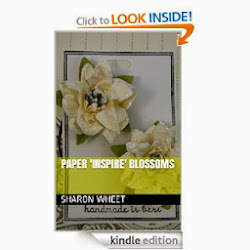 I stamped my blossom in the same colors, and did the 'rock and roll' technique. I dyed my vanilla seam binding with pumpkin pie re-inker, and then did a zig zag machine stitch. I added two tickets, stamped with the That's the Ticket stamp set. And tucked in a sprig of leaves from the 2 step bird punch, using silver glitter paper. 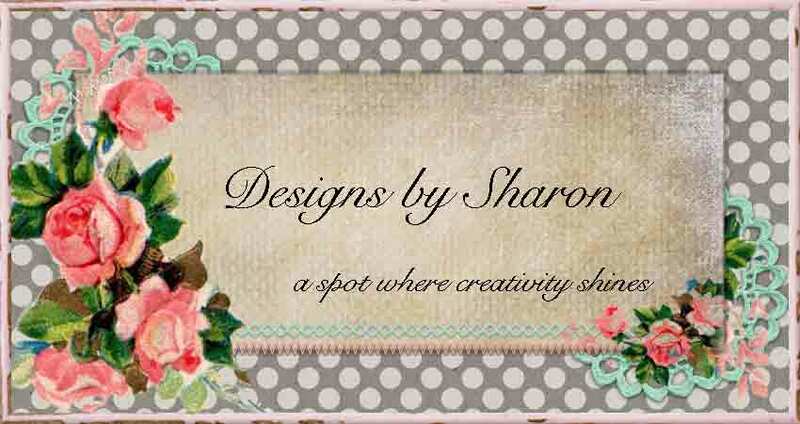 I know that you will see some fabulous creations from the other ladies, and be inspired to play along with us @ NAC! 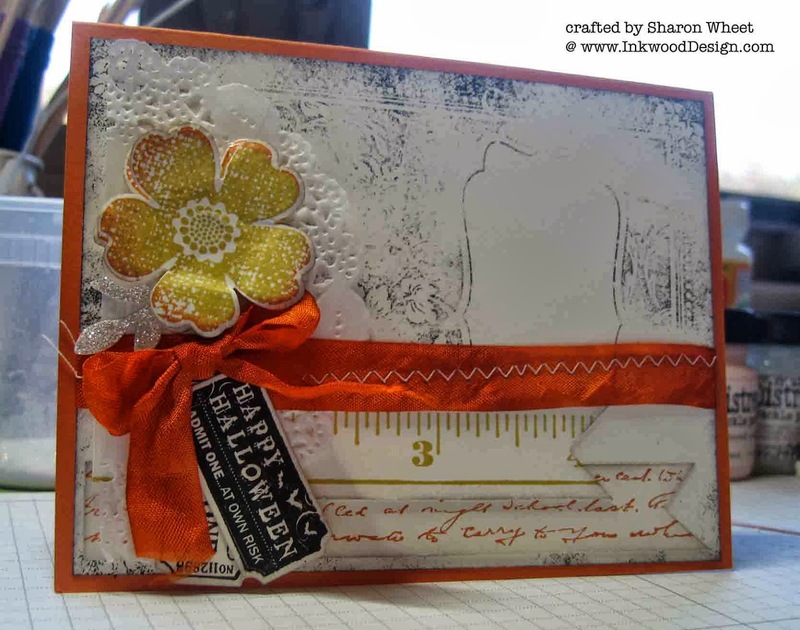 So grab you stamping supplies, and share with us what you create!